Create a fanciful mermaid grotto with these whimsical Foam Lotus Floating Water Lanterns. They are the perfect addition to a water feature or for table decorations and centerpieces! The lightweight foam material allows it to perch gracefully on top of water. Simply light the included tealight candle and set it on the water! Each Floating Foam Lotus measures 7�� in diameter. Lighted by a tealight candle (included) foam-lotus-floating-water-lantern-orange-color,Create a fanciful mermaid grotto with these whimsical Foam Lotus Floating Water Lanterns. 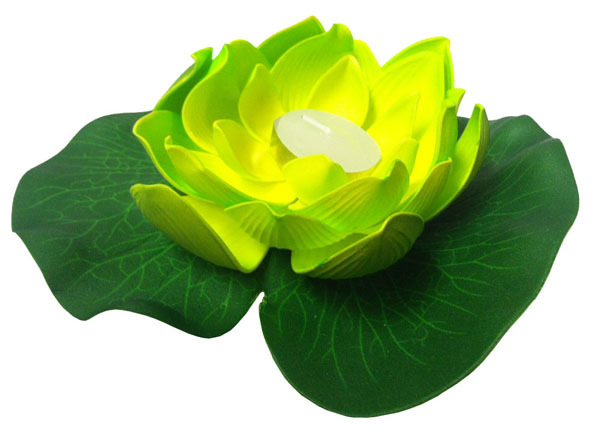 They are the perfect addition to a water feature or for table decorations and centerpieces! The lightweight foam material allows it to perch gracefully on top of water. Simply light the included tealight candle and set it on the water! Each Floating Foam Lotus measures 7�� in diameter.